Check out Rich Harris’s awesome NAMM coverage at Ibanez Rules. Rich is a legend among Ibanez geeks such as myself. Here are a few interesting new 7-strings from his site, but be sure to go to to see the rest. 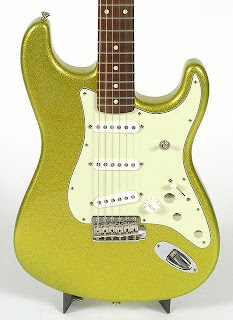 This is a Prestige series instrument made in Japan. List price is $2133.32 including case. Rich has ordered some of these, so hit up his site if you’re interested. Didn’t see this one coming! Rich says: “Basswood body with flamed maple top [I’m guessing veneer at this price point], 7 string, 5 piece maple/walnut Wizard II – 7 neck, jumbo frets on a bound rosewood board, basswood body, fixed 7 bridge, AH1-7 neck and AH2-7 bridge pickups.” Made in Indonesia, list price is $666.65. Case is the M100C at $159.99. Photos by Rich Harris, but hosted by me so I don’t eat up his bandwidth. Speaking of Dean, it seems Trivium’s Corey Beaulieu and Matt Heafey have disappeared from Dean’s artist page, and their signature guitars are nowhere to be found. Will Corey and Matt go back to Jackson and Gibson respectively? Or have they emigrated to DBZ Guitars? 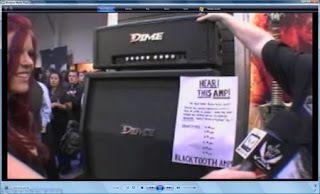 More details have emerged on Blabbermouth.net about Dean’s new Dimebag amp, designed with Dime’s guitar tech, Grady Champion. Head over to Blabbermouth for the full story. NAMM 2009: Randall RM12 – twelve preamp modules? WHAT? Last year I reviewed Randall’s RM100 head and a few preamp modules for Mixdown Magazine. This series allows you to swap out different preamps from a whole bunch of different models so you can create your ideal setup. When I reviewed the amp, my favourites were based on the Marshall Plexi and the Bogner XTC. Of course, I couldn’t help but feel that it would be great to have some way of trying out all of the modules without having to stop playing. Enter the RM12. It was originally designed for dealers to demonstrate the modules, but its 50 watts of chameleon-like awesomeness will soon be available to the public. The RM12 isn’t ready for production yet but I’ll keep you posted. 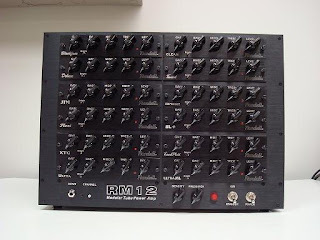 CLICK HERE to see the back of the RM12. 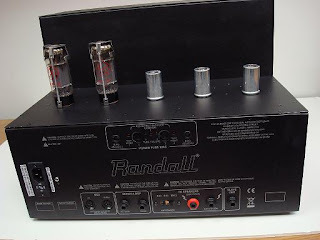 CLICK HERE to see Randall amps on eBay. In yet more Paul Gilbert/Ibanez news, Ibanez is giving fans the final say in which past PGM model guitar will be reissued. Cool huh? You can see each of the models and place your vote here. I have a feeling the winner will be the PGM200 (left), although as a Talman geek I’d love to see the PGM900 (below) achieve wider recognition. Or perhaps, with the massive $9,333.33 price tag on Paul’s new Fireman model, fans will vote for the next closest thing, the Iceman-based PGM600? In celebration of the PGM’s 20th Anniversary, we look back on the past two decades of crazy colors and designs that have made each PGM a unique instrument unto itself. There are a lot of memories associated with each model, and who better than Paul Gilbert to discuss what they are. Here is the complete lineup of PGM models along with personal comments and stories from Paul himself. Let us reminisce! To mark the occasion, we are putting the guitars to a vote. The model with the most votes will be put back into production. Some of these were only available in Japan, so here’s your chance to revive your favorite. Voting will begin January 15th and conclude on March 20th (GMT24:00). CLICK HERE to see Ibanez Paul Gilbert guitars on eBay. Just spotted this on Blabbermouth.net… Steve Vai’s press conference launching the Legacy II amp for Carvin at NAMM. In the video, Steve talks about the design concept behind the amp, including the new added channel, which is a boost for the clean channel. Unfortunately he doesn’t actually play through the amp in the video. The Legacy II will be released at the end of February.